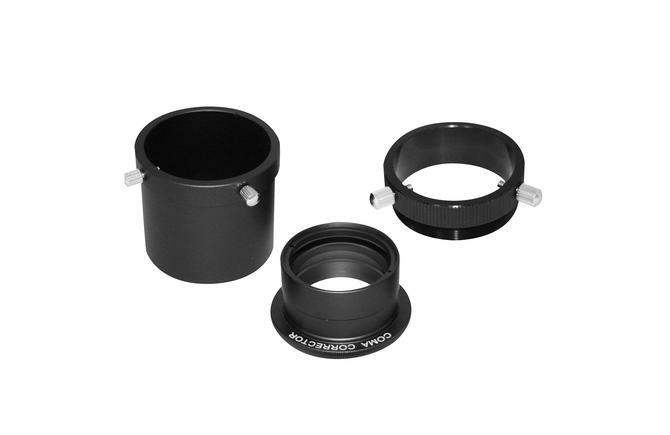 Optimized for all Sky-Watcher fast-ratio f/5 Newtonian Reflectors /Dobsonians, with 2” focuser. Delivers stunning wide-field views with pinpoint stars to the edge of the field. Magnification remains unaltered. Supplied complete with necessary adapters for visual use. For imaging use with a DSLR camera, a suitable M48x0.75 adapter is required to match your camera. Sky-Watcher manufactured Canon, Nikon M48x0.75 adaptors are available.